I was driving to work yesterday morning and I remembered that I had also finished this owl over the weekend. I totally forgot to include it in my Crafty Tuesday post. Since I have not picked up my camera all week, I decided to have a little photo session on the front porch while we waited for Harper's bus to arrive. You may remember (or probably not) the faceless owl hanging around in this post. For some reason, I decided to finish the owl this weekend. It took all of 10 minutes to finish so who knows why it took me 9 months to do? Harper promptly claimed the owl, but I think the terms might be negotiable. She likes to play with the owls that were in Stuffed Magazine. She was playing with the owls and realized that this one was missing something. First she wanted her to have earrings. Then she changed her mind and decided a peace sign would be better. So a peace sign it was. I really liked how it all came together. Maybe I should post the pattern or tutorial. What do you think? 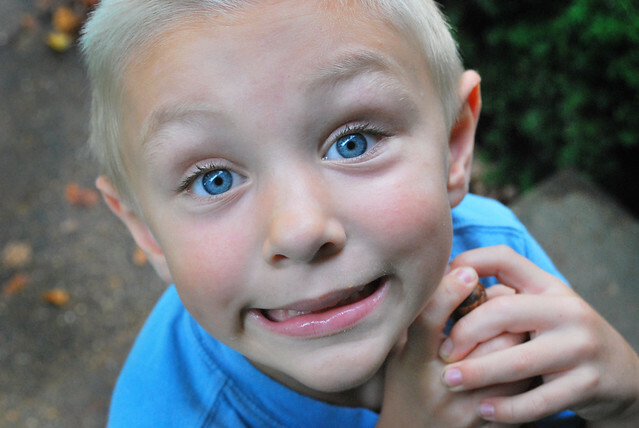 Since I had my camera out and my adorable son was outside with me, I snapped a couple shots of him too. He sure can try my patience and warm my heart all at the same time. How is that possible? Maybe it is those beautiful blue eyes? the owl is so cute. and miller is to precious for words! Yes, please post a tutorial. 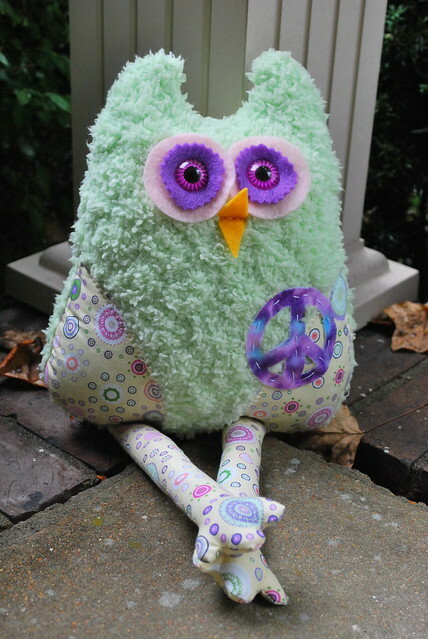 I love this owl and he would make a great christmas gift for a little boy I know. Yours is adorable.